I am moving to Alaska and have a 30-06 how effective would that be on a moose? What bullets do you recommend? 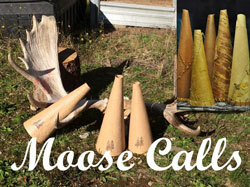 The question of What is the Best Caliber for Moose, has been debated for a very long time. Thanks for your questions. In fact those are very good questions, one that leaves a lot of hunters wondering what to do or choose. 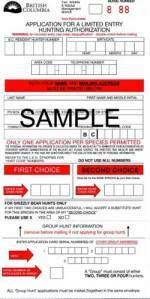 We are running a survey on this website to find out the best caliber for moose survey. So far the 30-06 is winning hands down. Check it out and vote! 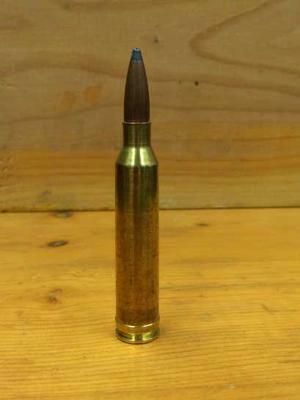 As for bullets most 30-06 rifles shoot a 180 grain bullet extremely accurately, certainly you can use a heavier one but I don't know if it is necessary. 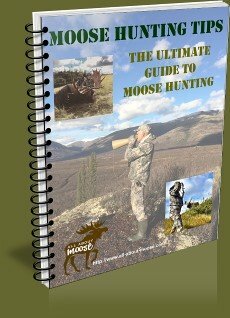 I personally have taken more than ten moose with an 30-06 using a 180 grain bullet. As with any big game hunting, shot placement is the most important. Some guys will tell you you need some huge magnum, in order to kill a moose. This is just not true. The fact is a well placed shot through the vitals will kill any animal. As a matter of fact I have been using a .270 with 130 grain bullets for many years now and this combination works great too! 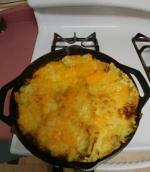 There are some definite advantages to a 30-06 and this is why it is the best caliber for moose and other game. Ammunition is widely available, and in many bullet weights. 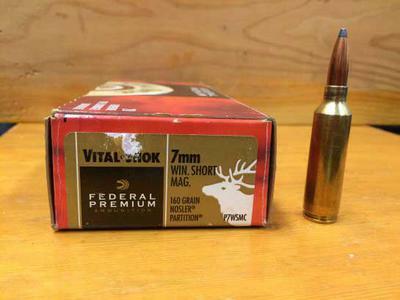 You can purchase over the counter ammunition from 110 grain up to 220 grain with many variations in between. If you hand load you'll find that you can load cartridges to hunt varmints as well as large African game, and everything in between. If you choose a magnum cartridge you make sacrifices... because of the cartridge design the belted case fits loosely in the chamber. This means inconsistency in the bullet rifling alignment, as well as the fact when you shoot the cartridge casing must first swell to fit the chamber before the bullet moves. This all adds up to poor accuracy. The other main distraction with shooting a magnum is recoil. I don't know many hunters that can shoot magnums well, mainly because they get beat-up from recoil. They pick these rifles because they are under the impression you have to have lots of power to kill a big animal. If you are a shoulder shooter, well, maybe you have some argument. 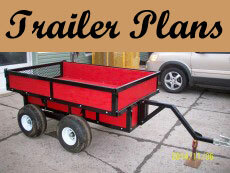 You need a lot of energy to penetrate the shoulder to reach the vitals of a large animal. I suggest you aim behind the shoulder away from the bone mass, you will waste less meat and kill your animal cleanly. You just have to get the bullet in the right place. Take ethical shots only, through the vitals... an animal cannot survive. It is that simple. If you use either Nosler Partion or Barnes X bullets in 180 grain you will be very happy with your results! I use hornady 180gr SST in it already. What is the longest shot you recommend on a moose with this setup? Hi Mike, It depends on a couple of things. 1) I see you are military so I assume you have good shooting abilities. 2) Velocity and energy of the bullet. Let's assume your muzzle velocity is somewhere close to 2800 fps. With your rifle sight...ed in at a 2 - 2 1/2 inches high your bullet should strike inside a 10 inch circle out to 340 or so yards. At this distance the bullet will still have plenty of energy to knock down a moose. I have taken moose beyond this distance but I also know my rifle and I am confident in my shooting abilities. I think once you get beyond 400 yards a hunter is really pushing the limits of a bullet. There needs to be sufficient velocity and energy for proper bullet penetration and expansion. Certainly someone who is classed as an expert marksman may be able to take those longer shots, but it's risky... wind, brush or the animal moving all add to the potential of a wounded animal. 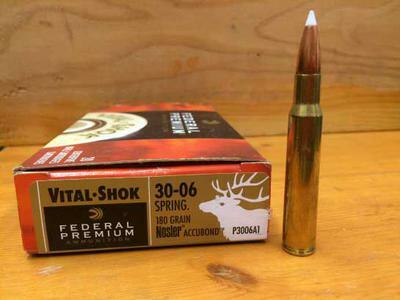 In short, the 30-06 shooting a 180 grain bullet is a winning combination and makes the best caliber for moose sized game, a hunter who practices regularly should have no problem taking moose out to 340 - 350 adding in that extra 50 or so yards is going to take some skill for sure. It becomes your call once you are faced with that long shot! I appreciate you taking the time to explain these things to me. I have never shot at an animal this size and will be relying on a rangefinder to make sure i don't misjudge distance. You have definitely saved me some money because I was expecting a 30-06 would have been too small for a moose. Thanks again and when I get one I will definitely share photos. The main thing is Mike, don't take those marginal shots (which we shouldn't as a regular practice). I think guys shoot those big magnums cause they can't hit the broadside of a barn door. I remember years ago reading a story of a little Eskimo woman shooting a brown bear with a... 22 caliber! The VAST majority of the people I know up here are hunting moose with Magnum calibers. 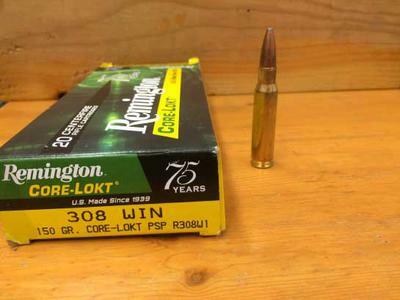 Of those, the 300 win mag is the most popular. I am not entirely sure I agree with your statement about the accuracy of these cartridges either. It is extraordinarily broad and fallible. By your justification, you are stating that a 30-30 is more accurate than a .338 lapua magnum, or 300 win mag because of casing design? I have a 300 win mag is that a good gun to take down a moose.